It’s one of the defining images of the ’90s British music scene: Suede’s Brett Anderson swinging his mic and slapping his arse as he tore through unifying glam-rock hits like ‘Animal Nitrate’ and ‘Trash’. 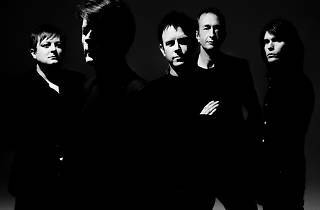 Along with his old school friend Mat Osman, Anderson founded Suede as a London student in the late ’80s. When Britpop exploded, the four-piece became the smarter, darker, more ambiguous face of the scene. Five albums later, they called it a day in 2003. 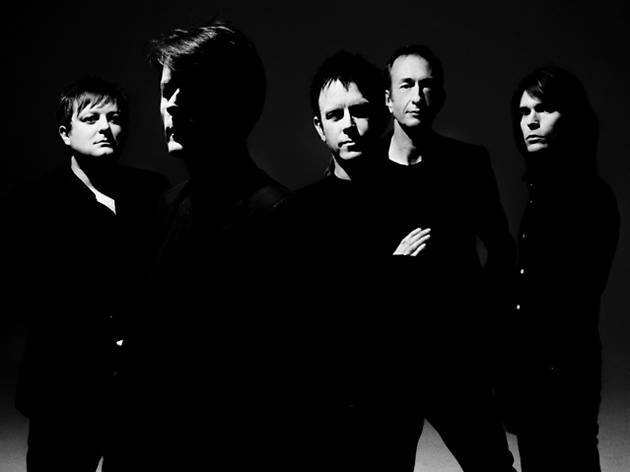 But Suede have been back since 2010, touring and lately recording. ‘Night Thoughts’ follows ‘Bloodsports’ as the second album of Suede 2.0. A brooding, expansive and playfully eccentric record, it nods to the experimentation and orchestral sound of their 1994 album ‘Dog Man Star’, the last to feature guitarist Bernard Butler. Suede will be performing the album over two nights in London at the Roundhouse, also premiering a new film made to accompany the album. We met Brett and Mat, both 48, near their homes in west London. You were up against Kanye West as Saturday night headliners at Glastonbury earlier this year. How was that? Last year a ‘Mastermind’ contestant picked Suede as their specialist subject. Were you watching? Your lyrics are full of images of the city. Does London still inspire you? Did the city feel brutal when you were fighting to get noticed as a student band in the late ’80s and early ’90s? Brett, you’ve said you always believed you were writing big Whitney Houston-style pop belters when you were writing early songs like ‘Animal Nitrate’ and ‘The Wild Ones’. Do you still feel like that? ‘We’re high art kitchen sink! Your new album ‘Night Thoughts’ is more experimental than your last, your comeback album ‘Bloodsports’ (2013). Did you have less to prove? The filmmaker Roger Sargent has made a full-length film to accompany the album. How did that come about? Are they old enough to listen to your music? So you don’t buy that line about the pram in the hallway killing creativity?